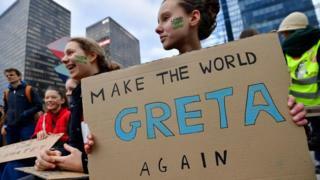 Greta Thunberg, the 16-year-old who inspired thousands of school children to take action on climate change, has told Members of the European Parliament (MEPs) to forget Brexit and focus on climate change. The teenage climate activist told off EU leaders for holding three emergency summits on Brexit and none on the threat posed by climate change. Read More: Who is Greta Thurnberg? 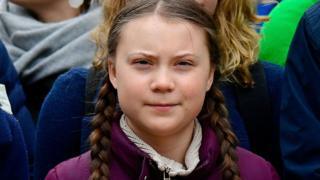 In a speech ahead of European Parliament elections in May, Thunberg said that if politicians were serious about tackling climate change they would not spend all their time "talking about Brexit". She outlined the issues that the planet was facing and asked leaders to do better. "Our house is falling apart and our leaders need to start acting accordingly because at the moment they are not," she said at the meeting in Strasbourg in France. Greta asked the MEPs to listen to scientists and millions of children who had taken part in school strikes, adding: "It is still not too late to act.". After her 10-minute speech ended, everyone stood up and clapped - a sign the MEPs were impressed with her powerful speech. It's not the first time that Greta has had some stern words for world leaders - she's previously spoken at the United Nations climate change summit - the United Nations is an organisation that brings together different countries to try to solve big problems.